Gisele came to the United States from Canada in 2010 with her husband to explore new opportunities. Previously, Gisele was a French teacher and now continues to infuse her passion for yoga with her love of teaching. She is a certified yoga teacher through the 200 hour training at Yoga Works in New York City. 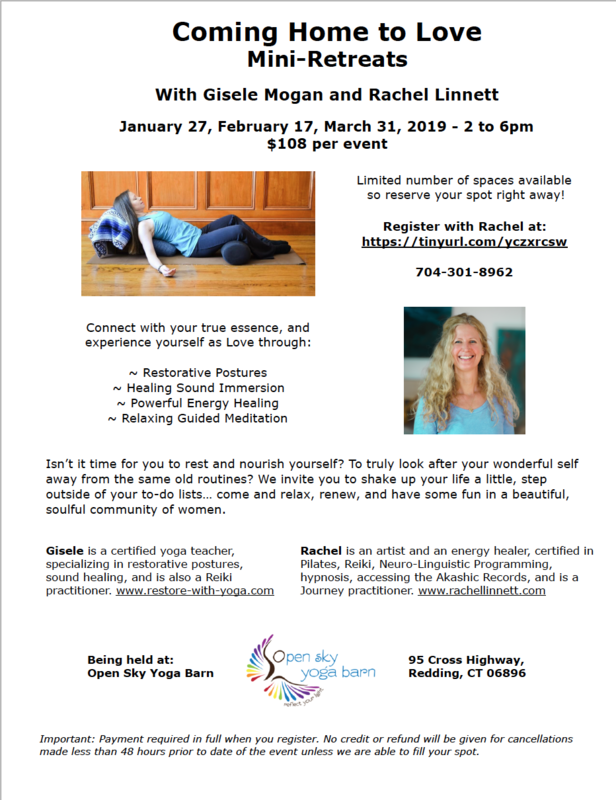 After discovering the benefits of Restorative Yoga, Gisele was inspired to delve more deeply with trainings for this soothing and nurturing practice which promotes healing on all levels- physical, mental, emotional and spiritual. 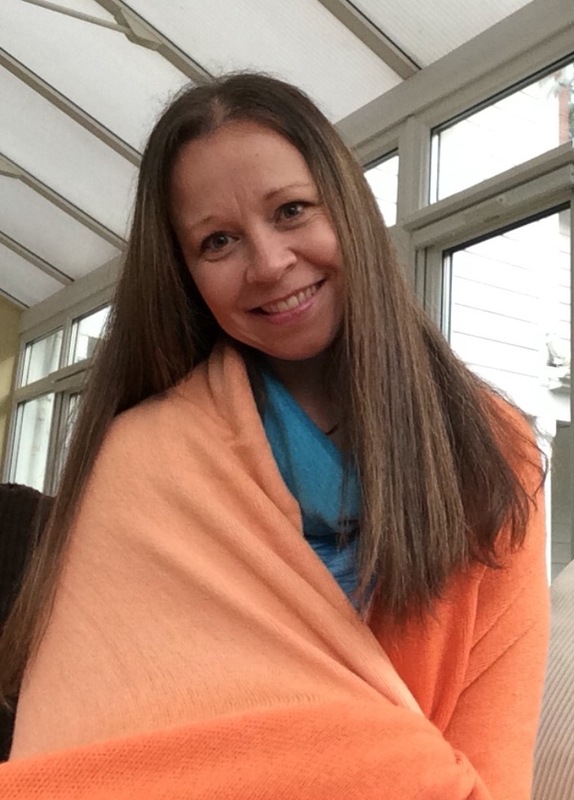 She has completed intensive Restorative Yoga trainings in Toronto and New York City. She has also completed additional advanced training in Children’s Yoga, Yin Yoga, and Energy Healing. Gisele is a certified Reiki Master Teacher and is also studying the healing energy of crystals under the mentorship of Donna Renzetti. Her compassion, creativity, sensitivity and deep commitment to these healing practices has created her personal mantra "Give Yourself Permission to do Less Instead of More". Gisele sees her Restorative Yoga and her meditation practices as an integral part of her life, and this has sparked her passion for sharing this gift with others. 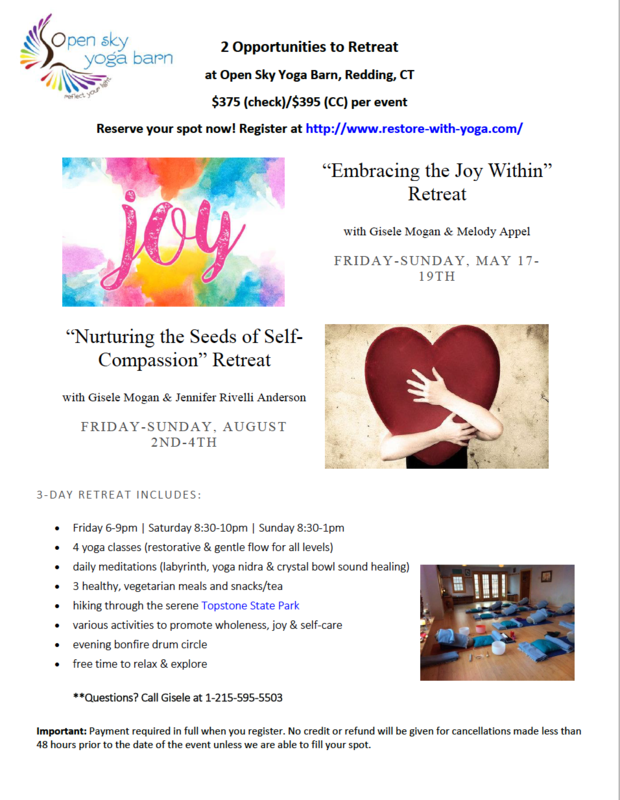 She travels often to share her Module 1 and 2 “Restore-With-Yoga” trainings which are for yoga teachers, body workers, nurses, physical therapists, other healing professionals and for anyone wanting to incorporate restorative yoga practices into their work and/or personal lives. With an emphasis on self-care and mindfulness, she encourages her students and clients to connect with their own inner wisdom, accessing and strengthening their own unique gifts to share with the world. She is convinced that it is impossible to outgrow Yoga, because it reveals more to you every time you practice. Gisele is honored to share the various healing practices that support her on her transformational journey. It is her hope that our yoga practice brings us all closer to our own selves. What if we felt empowered enough, courageous enough, compassionate enough to open up to receiving all the gifts to healing on all levels of our being?